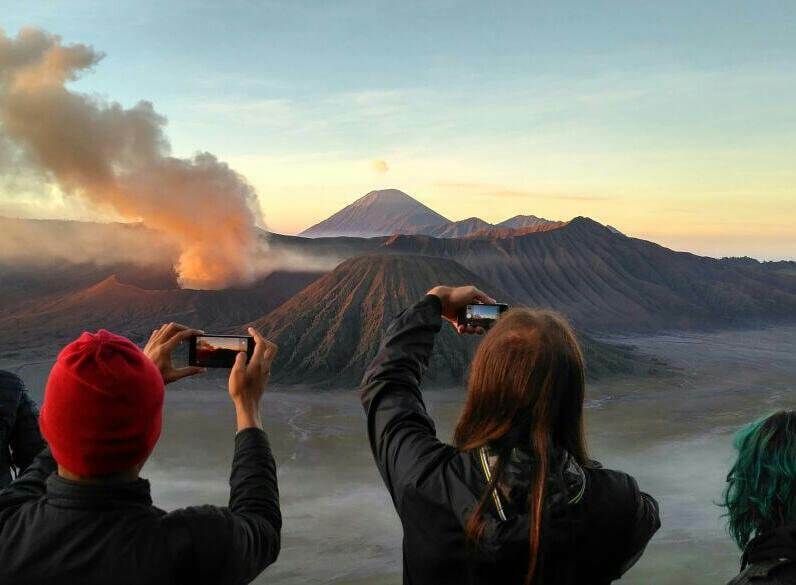 BROMO IJEN SHARING TOUR 3 Days 2 Night Every Day !!! 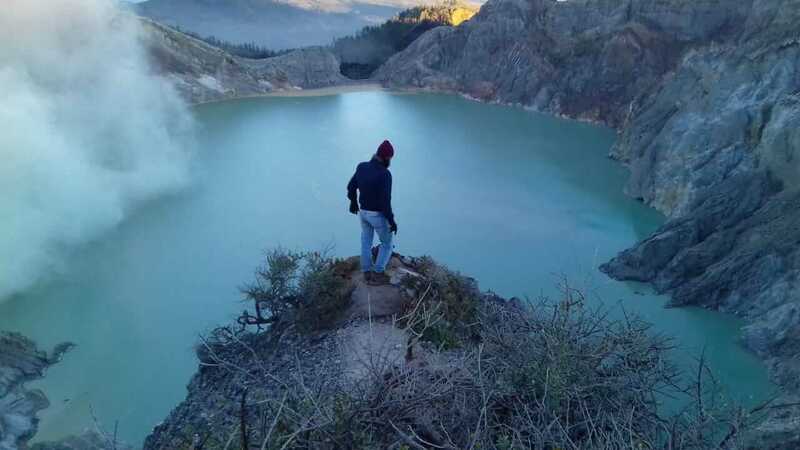 Ijen volcano in Banyuwangi East Java contains the world’s largest acidic volcanic crater lake, called Kawah Ijen, famous for its turquoise color. 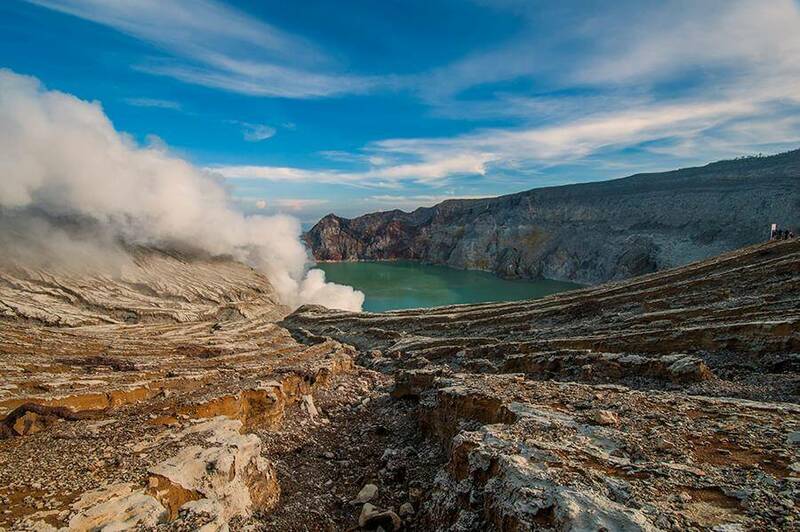 The active crater measuring 950×600 m is known for its rich sulphur deposits which are being quarried. 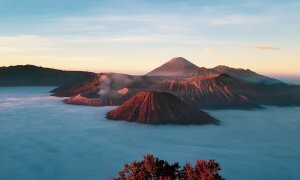 The volcano is one of several active stratovolcanoes constructed over the 20 km wide Ijen caldera, the largest caldera in Java. Most famous viewpoint Mt.Pananjakan (2774 m masl), the rim of the Tengger Caldera. Exploring milky way and start the trail, Mount Pananjakan is one of the best places in the edge of the Tengger caldera to see the sunrise. We will see sunrise and spectacular panorama with mountains in the ancient crater and an active Mt.Semeru (3676 m). Best Travel Agent in Indonesia, We styles journeys for all Indonesia and personal tour. wherever is trip to meet your needs in ready tour to varied destinations all of Indonesia, Java Bali overland Tour, Borobudur Tour ,Lombok, Orangutan tour, Sulawesi Toraja , Sumatera trip, Trip to Komodo and Sumba Island, Bali Holidays, Raja Ampat Papua, Photography tour and Java Cruise ship.